This morning I noticed a small puddle of coolant near under the passenger side of my engine block, about the size of a loaf of bread after my car had been sitting all night. I drove it to somewhere in the neighborhood, probably 5 minutes total, and when I parked it immediately peed out the same amount of coolant as before and then stopped. I waited for it to cool down and shoved myself underneath to see if I could find the source. Tracing it up from the ground it went to the ground off my skid plate, to the skid plate from what I think is the water pump, to the water pump from where the lower coolant hose goes into some metal tubing that branches off, located underneath the heat shield. So my questions are: is there anywhere further up that could be the source of the leak? What exactly is this metal tubing and is it a likely leak culprit? I've got this picture if it helps at all. It does! 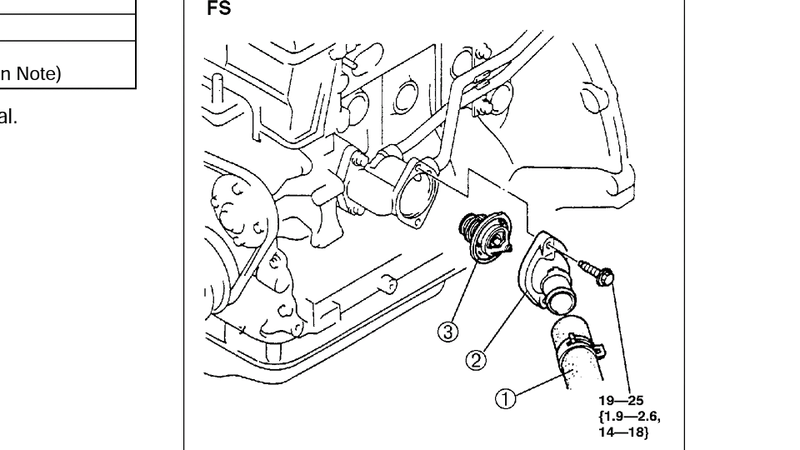 The leak looks like it's coming from (3), looks like the thermostat housing? I think I'm gonna have to take some things apart to really see for sure. Here's another picture of the area. You're a schematics wizard! I think that's got to be it. Maybe a gasket between the housing and the block? I guess I'll just have to tear into it and see. Here's a link to the factory service manual. It'll tell you how to drain and refill your rad. 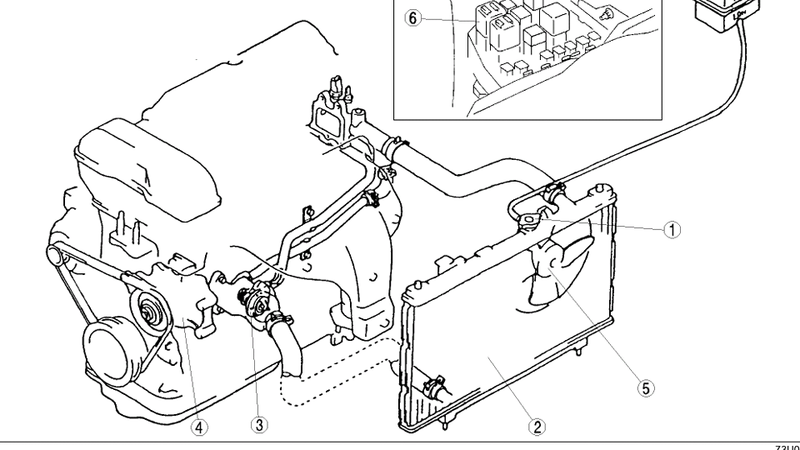 Make sure your get all the air out of your coolant when you're fill it. You might want to throw in a new thermostat when your in there. They're only a few buck and come with a gasket. I went to make sure the leak was coming from the thermostat this afternoon. Undid the heat shield, turned my car on, waited for it to get up to temp and it wouldn't leak! Drove it home, to the store, not even a drop. Keep your fluid topped up including the overflow tank. Mix up some coolant using distilled water from the grocery store and keep it in your car. It's possible that the puddle is just water draining from your AC unit. Dip your finger in the puddle and put a little dab on your tongue. If it tastes sweet it's coolant. Make sure sure you spit it out,.. That shits poison. I had some leftover coolant I've been topping it off with, I've only lost about a quart. It was definitely coolant, I didn't taste lol, it but it was visibly green and smelled sweet. Make sure you keep it topped up while you look for the leak. If you get and air pocket inside the engine, you could overheat and warp your head then you've got a major problem. Keep an eye on your temperature gauge and if you see it rising, turn the heat on inside your car and put the blower to full speed. If it doesn't blow hot but the temperature is rising then you've got an airlock. Turn your car off before you warp the head. It can happen pretty fast. Maybe leave your heat shied off for now while you checking for the leak. Warm your car up until the cooling fans turn on. That means the system is at full pressure (about 17 PSI). You might need that pressure to get it to leak. Be careful, everything will be hot and the fan will eventually turn on. Can't find the source of coolant smell.